Today, Apple released the latest mobile platform update iOS7. 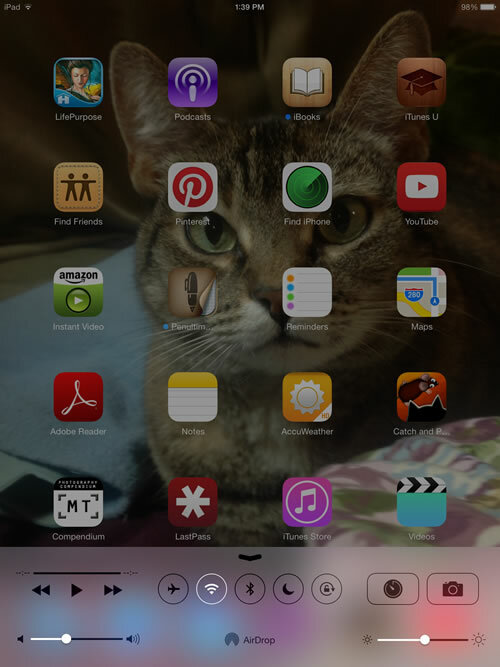 iOS powers the iPhone, iPad and iTouch devices, and is also used on Apple TV. This article focuses on mobile devices. Also note: Some new features are not available on older generation devices. The first thing you’ll notice is the new look. No more glossy beveled icons. The design goals were to make iOS7 “simpler, more useful and more enjoyable — but still feel instantly familiar.” It takes some getting used to, especially to long-time devotees, but the overall reaction to the new design has been positive thus far. Designers across the web have been scrambling to emulate the “flat-look” trend. Despite the cosmetic makeover, most of the features and options you are used to are still in the same places. There are some new features to take note of outlined below under New Features. Swiping, from the right and left edges of the screen, has come into it’s own as a quicker, more efficient way to navigate the iOS as well as getting around the web in Safari. This feature has been on the user wishlist for sometime. The Control Center is activated by swiping upwards from the bottom of the screen to reveal a set of options for controlling various settings. The arrangement of these icons differs depending on whether you’re using your device in landscape or portrait mode, but the options, icons and functions remain the same. This feature seems to be more suited for the larger iPad screen. On the iPhone, Control Center takes up the majority of the screen, while on the iPad, it only takes up a quarter of the screen in Portrait mode. 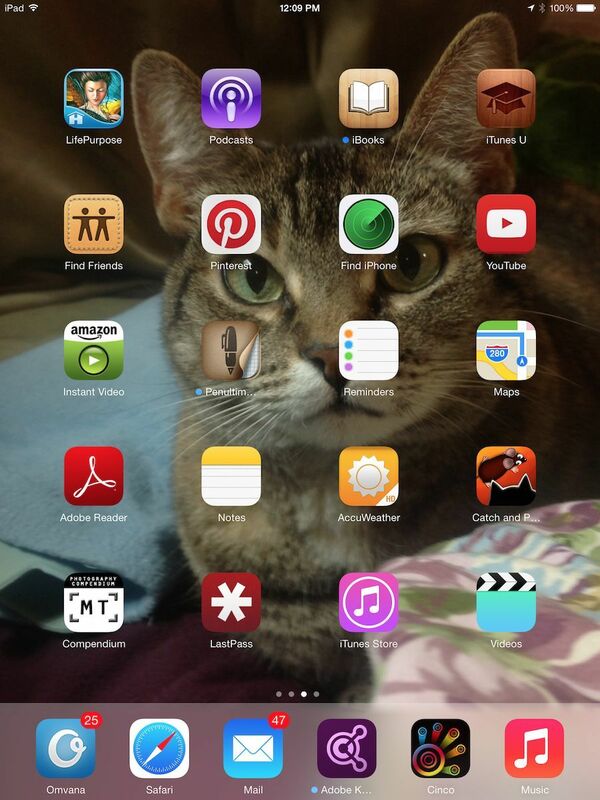 The layout is much less confusing as well, with each feature sectioned off in thirds on the iPad. Media controls are located to the left, Toggles in the middle, and frequently used app shortcuts on the right. Because the feature is by default accessible anywhere, Control Centre can also be accessed from the lock screen without unlocking your phone. If you would like to change this setting, you can disable Control Centre from appearing on your lock screen or while you are using apps via Settings > Control Center menu. AirDrop facilitates sharing between iOS devices. It lets you quickly and easily share photos, videos, contacts — and anything else from any app with a Share button. Just tap Share, then select the person you want to share with. AirDrop does the rest using Wi-Fi and Bluetooth. No setup required. And transfers are encrypted, so what you share is highly secure. Your AirDrop visibility settings can be configured from Control Center to allow interaction with nobody, only those you know (your Contacts) or Everyone. The option to share via AirDrop shows up whenever you click the Share button for most items including photos, videos, contacts and web pages. In order tt use AirDrop, choose an item you would like to share, hit the Share button (it looks like a box with an arrow coming out of it) and select the target device in the AirDrop field. If no devices show up, tell the recipient to adjust their visibility or add you as a contact. Receiving via AirDrop is similarly simple, and whenever a user tries to share with you a confirmation dialogue will appear asking you whether or not you want to receive the item or not. The prompt will often include a preview of the photo or video and indication as to what it is you are receiving. This new feature only works on the iPhone 5, fifth generation iPod Touch and the fourth generation iPad (and older) and iPad mini due to a dependence on a newer Wi-Fi chip found in these devices.